While perusing the drugstore looking for some of the more recent releases, I found an area with the brand Nonie Creme Colour Prevails. What’s even more personal to me is that my son’s nickname is Noni. We’ve been calling him that since he was born. 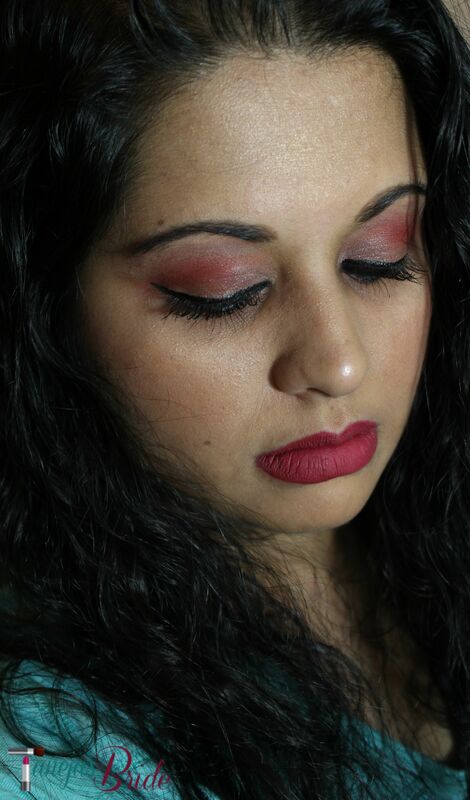 Anyway, when I looked through the offerings, I found the Colour Prevails Paint & Varnish Matte Lip Colour & Topcoat. 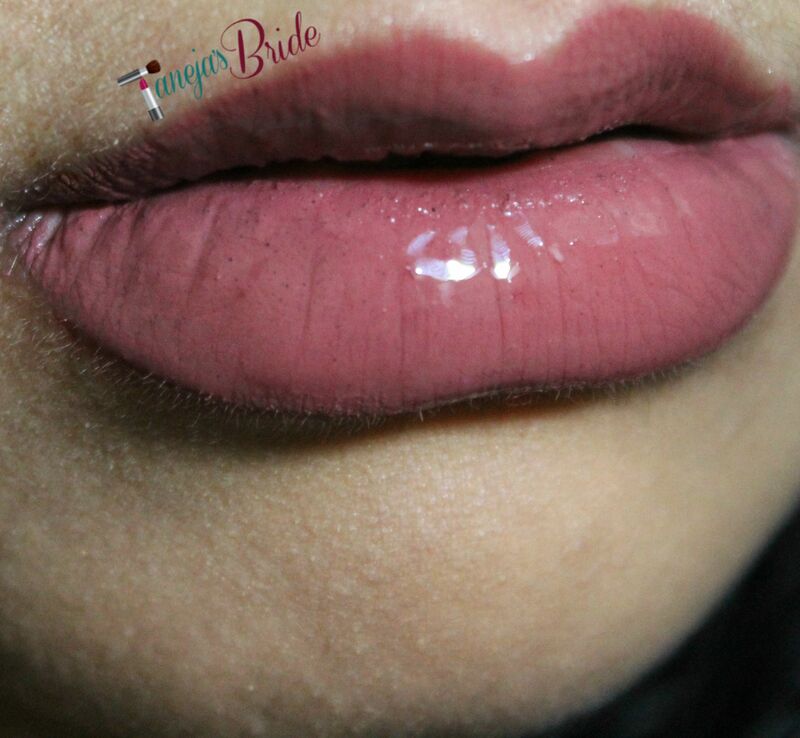 I used a product similar to this for my wedding in 2009 because I needed a lip color that would last the entire ceremony PLUS reception, which was packed into a single day. And, last it did, so I was really curious to check these out! The packaging is whimsical and reminds me of Cirque de Soleil! Love it so much. I picked out 3 of the 12 colors. So, we will be talking about the following shades of Colour Prevails Paint & Varnish Matte Lip Colour & Topcoat. It is two-sided. 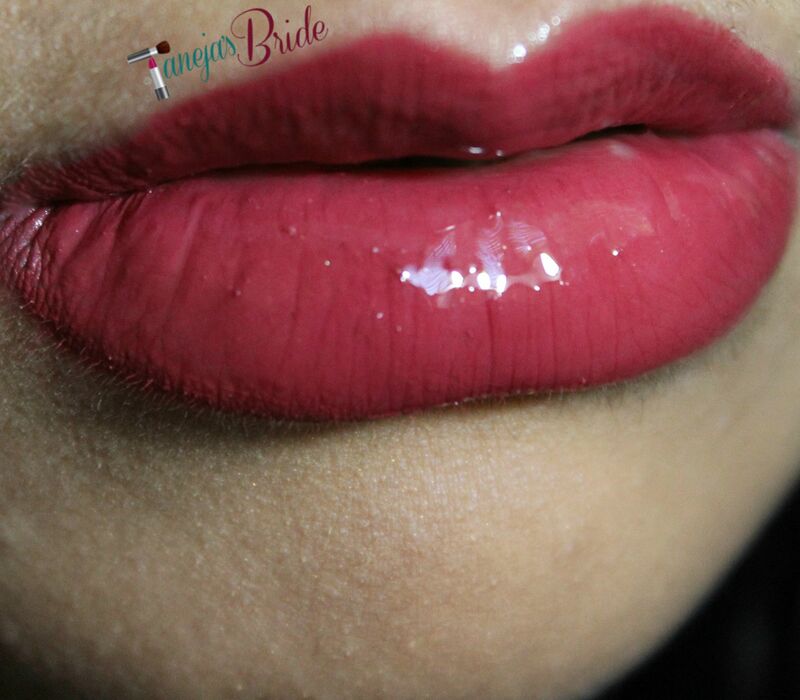 One side houses the matte liquid lipstick, and the other side houses the gloss. 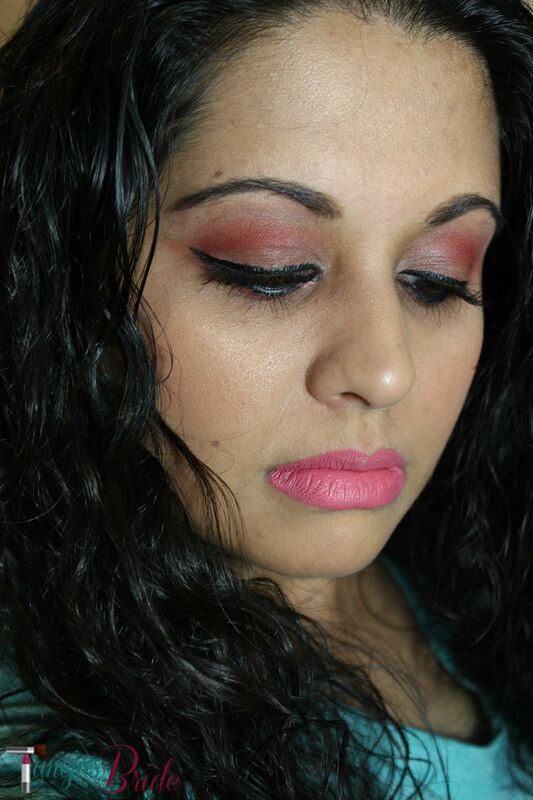 Let’s start off with Retro Pink, a sweet neutral pink. This one is a bit streaky to work with but if you wait for the 1st layer to dry, and add a 2nd coat. But, all in all, it’s a nice shade. Next, we have Raspberry, a gorgeous berry! This shade is super duper gorgeous, and I loved this one the best! It was super smooth, and it also needed to be layered twice. The last color I chose was Darkest Taupe, a nice marsala, a color I have been gravitating toward all year (and probably something that won’t change). This one also needed some building up. Here is two layers. Now, let’s discuss these liquid lipsticks! Are they matte? Yes, indeed. Are they transfer-proof? Yes, when they dry completely, but not when you add the topcoat. Are they comfortable to wear? 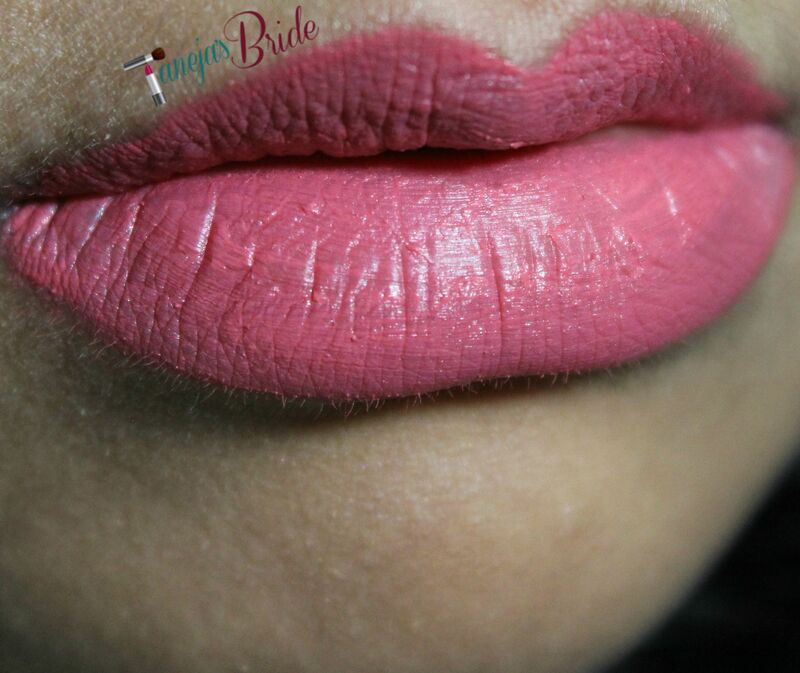 Yes, absolutely, the formula is a stiff mousse formula similar to the NYX Soft Matte Lip Cremes, but they do dry completely. They do remain a little tacky in the parting of the lips, but nevertheless, they are pretty decent. The last is about 3 – 4 hours or until you eat something with oil. 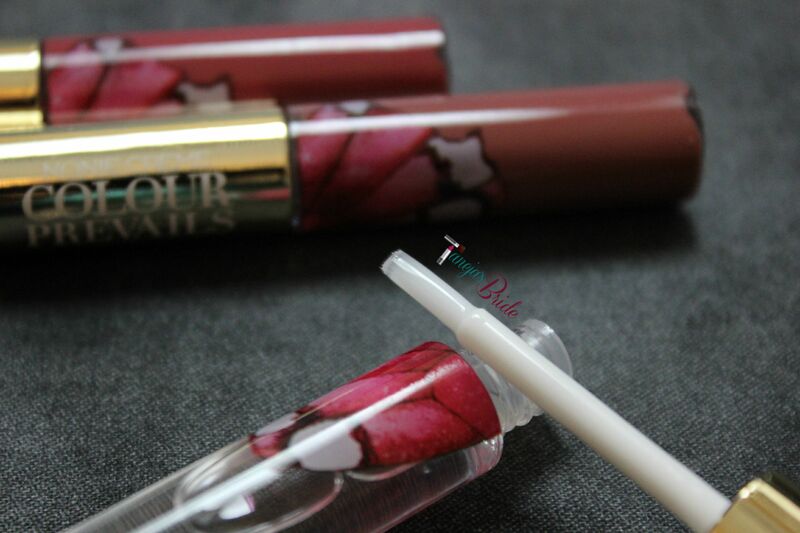 When wearing the gloss, I was shocked the last was almost as much, but I did find that it DID then transfer a lip print to a glass, etc., which I also found did NOT budge even when washed in the dishwasher! So, of course, you will just have to swipe a sponge gently and it will then come off. 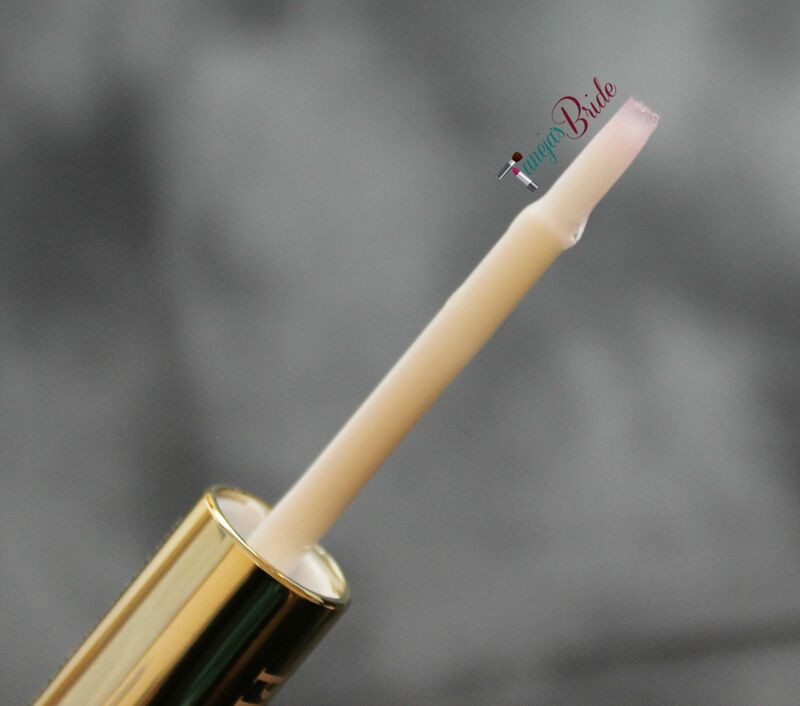 Now, another question that must be in your mind is probably when you apply the gloss, does the lipstick transfer onto the applicator and spoil the gloss? Nope! I was surprised at this, but make sure you do apply the gloss when the lipstick has completely dried. See the applicator below to see that there indeed is NO transfer. I would definitely buy again if they increase their range because the colors are nice and soft, but do intensify with layers. What do you think? Have you tried these before? 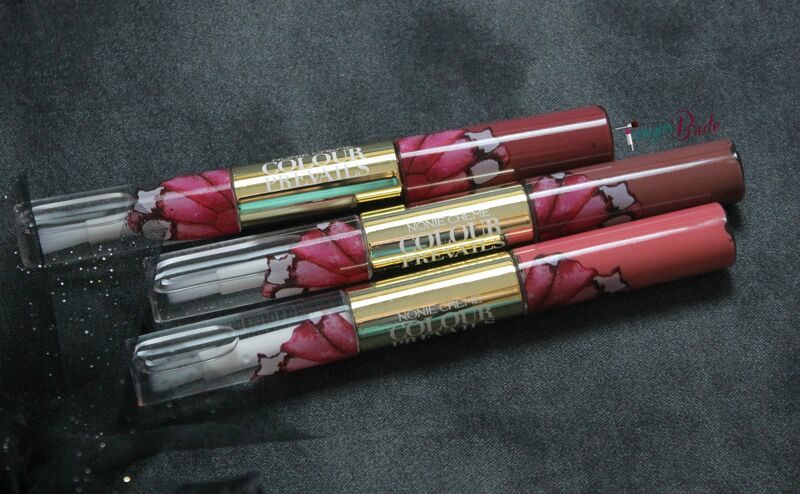 All three of these shades look absolutely gorgeous on you! 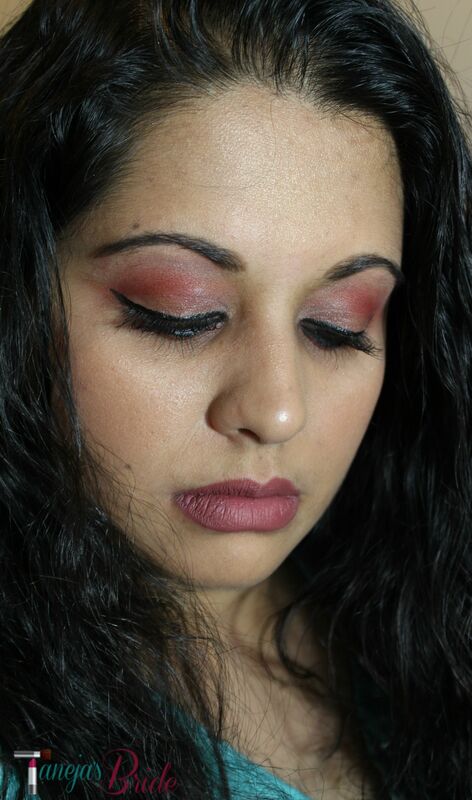 I am really loving Darkest Taupe on you– you really look amazing in marsala shades! I haven’t seen this brand in CVS or Walgreens around here, but I’ll keep an eye out. What a coincidence that Nonie is your son’s nickname. The three shades that you chose are gorgeous and beautiful on you! I’m not a matte fan because it is so hard for me to find one that isn’t drying, but with the gloss these look lovely. The creator, Nonie, was the original creator of Butter London polishes. Her line isn’t widely distributed yet. I’d love to try the polishes. I’m not a fan of matte lips on me but these colors are lovely. I love the shades + your eye makeup! 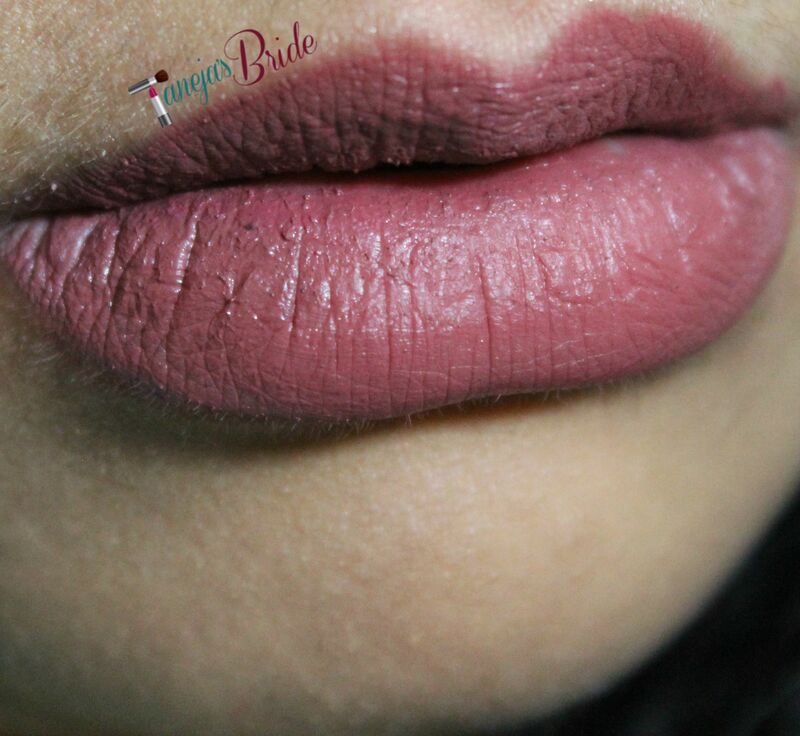 I love this sort of liquid lipstick as they wear so well! Retro Pink and Darkest Taupe are so pretty. All of these colors look fabulous on you! These are lovely! Great shades for you for sure. Good to hear about the application. 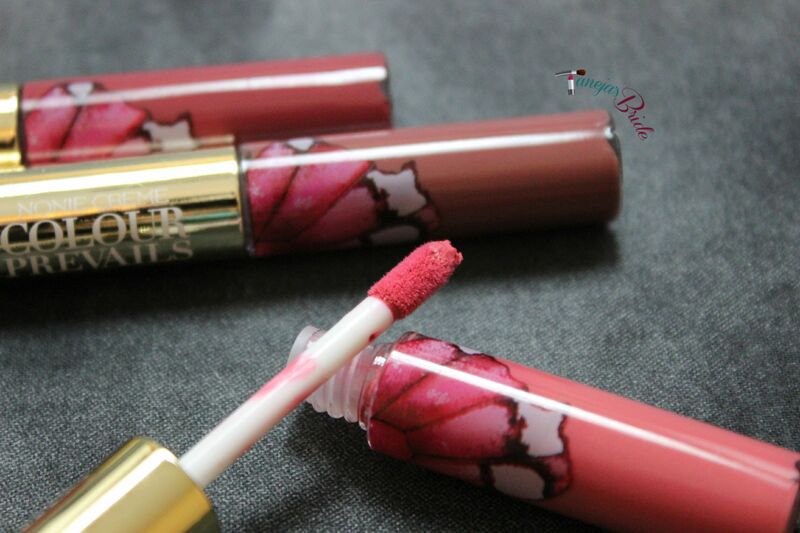 These are some really gorgeous shades and I love when you can mix it up either matte or gloss. Each shade looks fabulous on you. They’re all beautiful on you! I love Raspberry the most! These are beautiful shades. 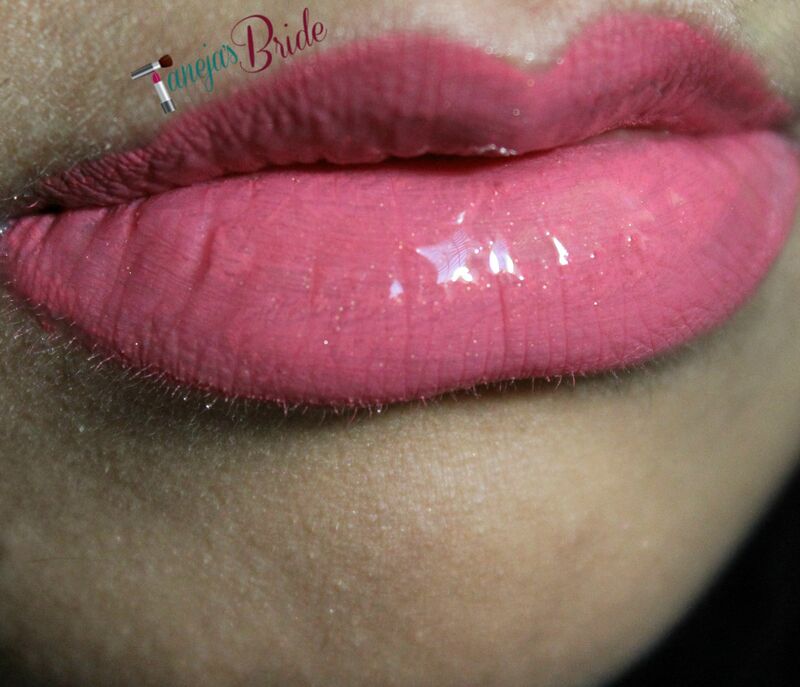 I love that you can switch between glossy and matte so easily with one product.